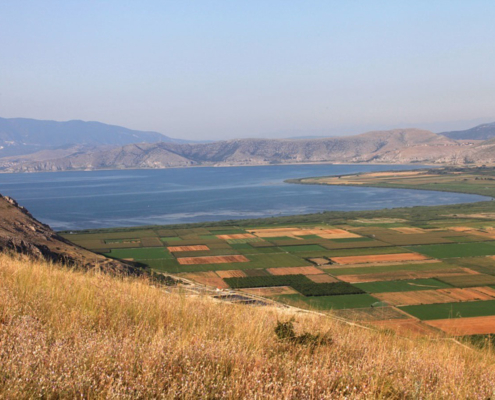 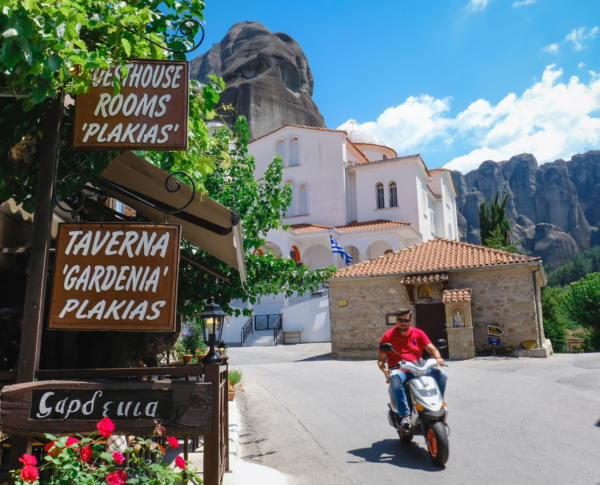 Starting north, our journey around the historic vineyards of the Aegean Islands takes us to Lemnos. 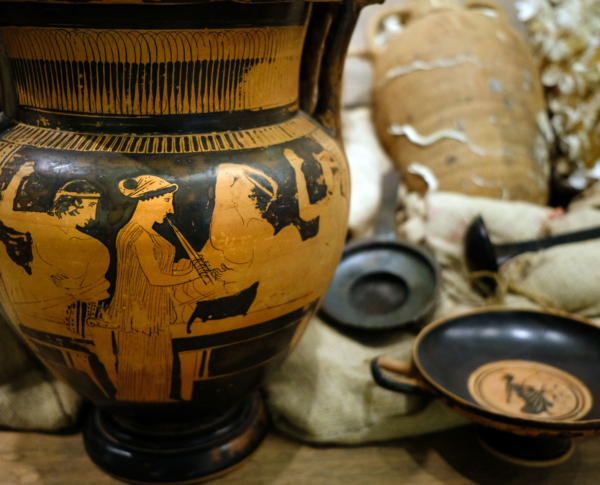 Lemnos’s wine commerce in antiquity was so brisk as to earn for the island mentions in the Homeric epics. 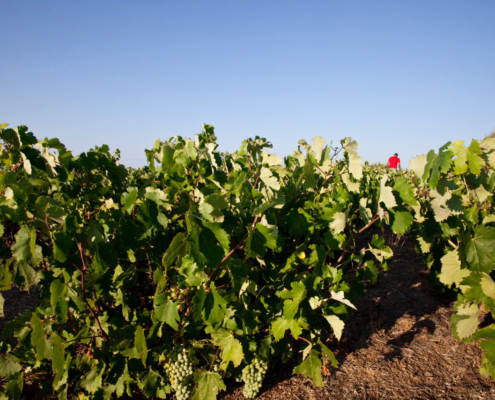 The island’s Lemnio cultivar, the Lemnia of antiquity, is still planted today on the island as well as in the vineyards of northern Greece. 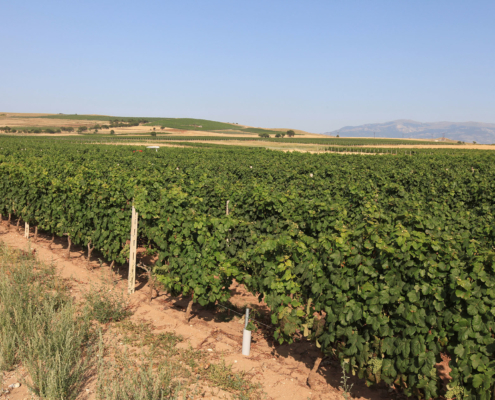 From the times of Ottoman rule on, the island became inextricably linked to the cultivation of Muscat of Alexandria, whose yields still go towards the production of the island’s dessert wines. 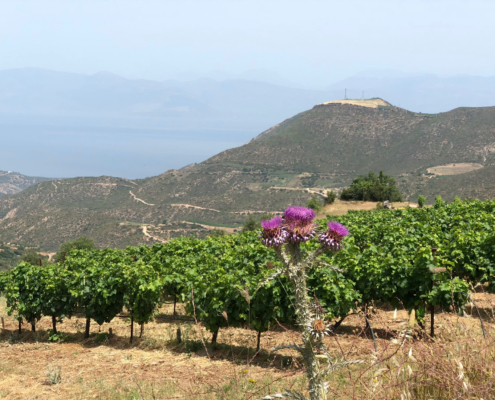 On the eastern Aegean island of Lesvos, or Mytilini, the fragrant, black, sweet wine which bore the same name as the island vied for quality and fame with the wine from neighboring Chios. 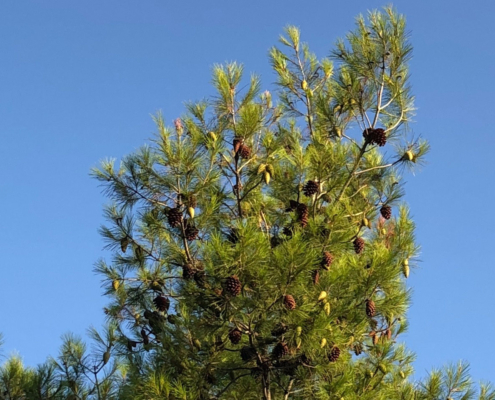 It remained commercially successful for many centuries on end. 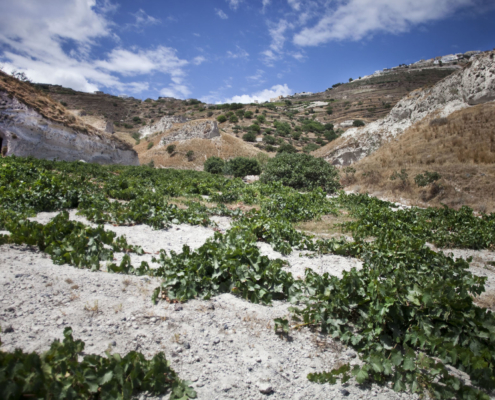 Today, compared to the thriving production of the island’s famous ouzo, the island’s wine production appears meager. 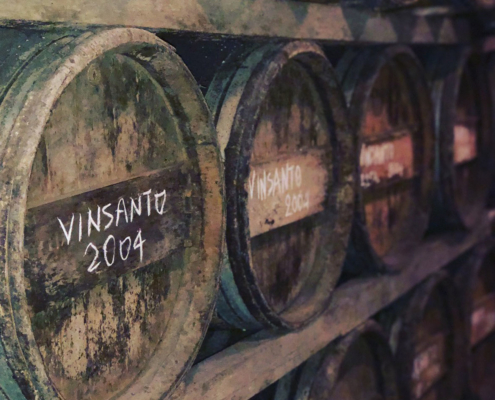 On Chios, the Ariousios oenos was produced in antiquity, a wine whose fame and quality, according to most connoisseurs of the times, surpassed those of any other for many centuries. 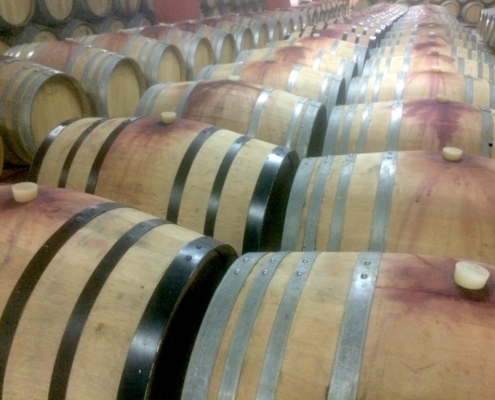 However, winegrowing was “extinguished” after the Ottomans burned the island from end to end in 1822 and slaughtered or took many of its inhabitants into slavery. 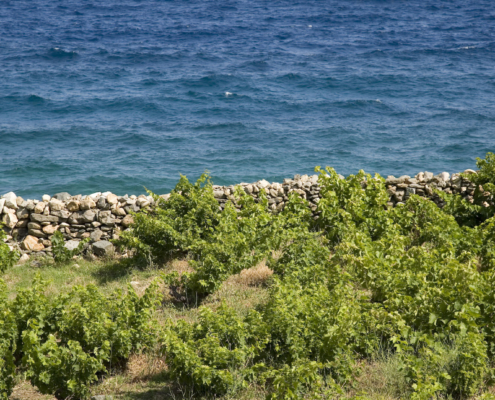 However, quite recently, efforts have been exerted to plant new vineyards around the island. 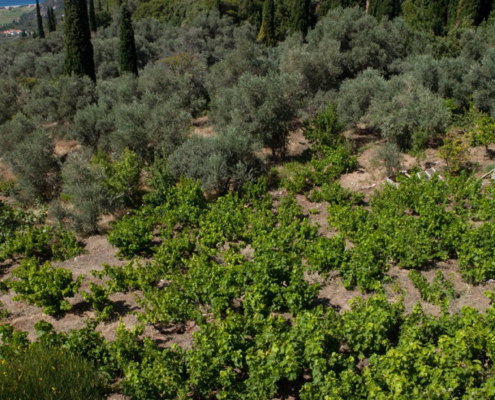 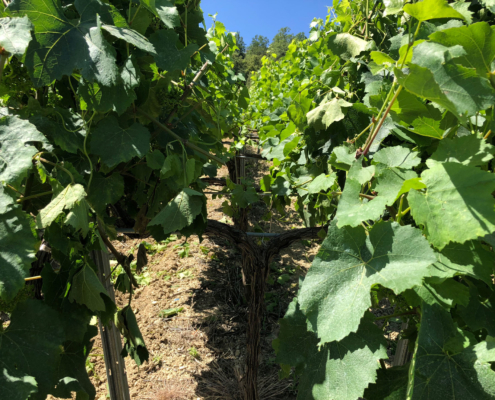 Another vineyard, among the most important and renowned in Greece, was once located on the Thessalian island of Skopelos (ancient Peparithos). 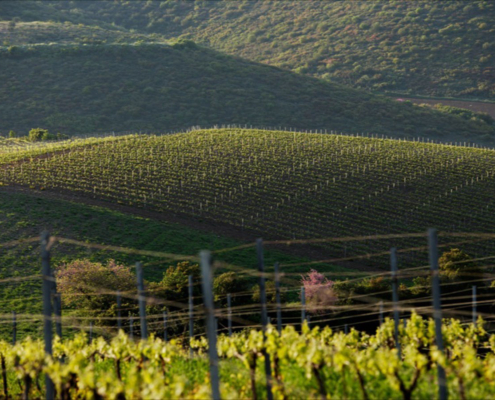 It flourished from antiquity to the 19th century and during that time, the pace of wine export on the island was brisk. 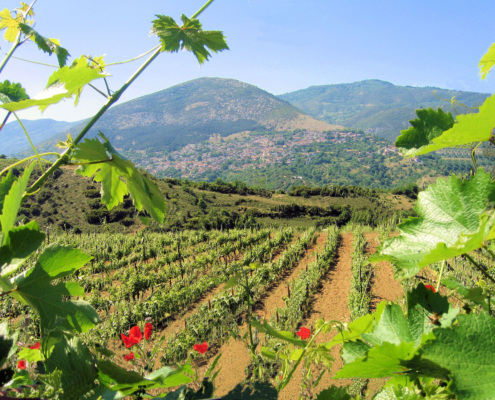 The wine the vineyard on Samos produced in antiquity was equally famous but Samos’s winegrowing and winemaking activities did not rise to prominence until the Byzantine era. 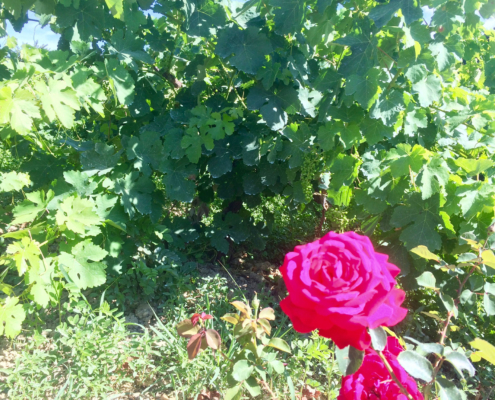 Ever since, winegrowing on Samos continues to flourish. 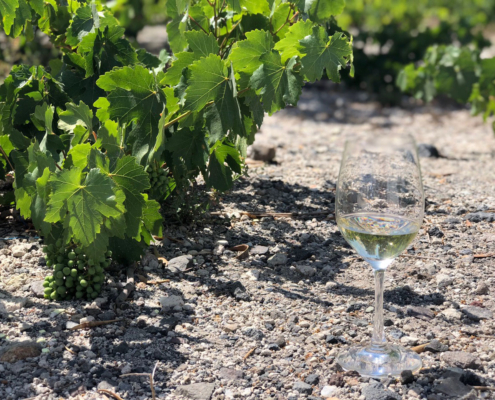 Samos’s superb sweet wine, produced from the white Muscat variety, has always been highly acclaimed among Greek wines, making a marked presence abroad even at hard times for Greek vineyards. 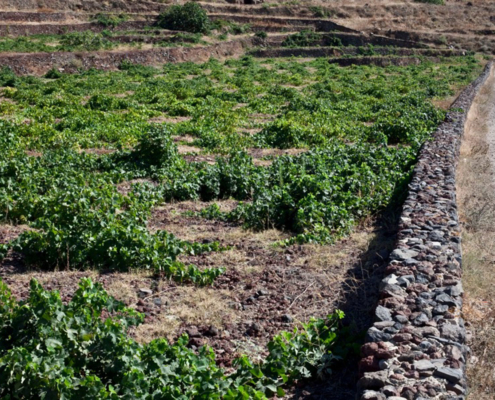 The vineyards of Samos are living proof of the ancient terroirs of the Aegean Sea: Using unique winegrowing practices, Samos vintners still cultivate their vines on the stone terraces (pezoules). 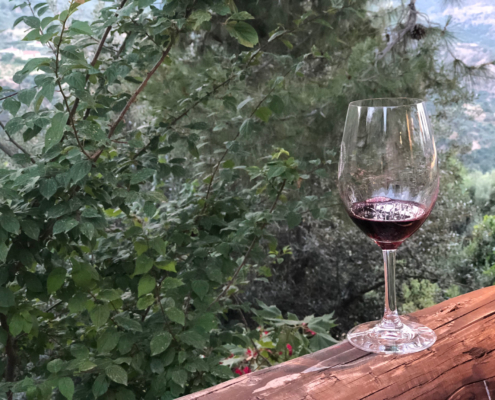 On the neighboring island of Ikaria another famous wine was produced in antiquity: Pramnios oenos, a dry red mentioned by Homer as a favorite with Greeks who had not only carried that wine with them to Troy during their exploits, but they had also sold it throughout the northern Aegean. 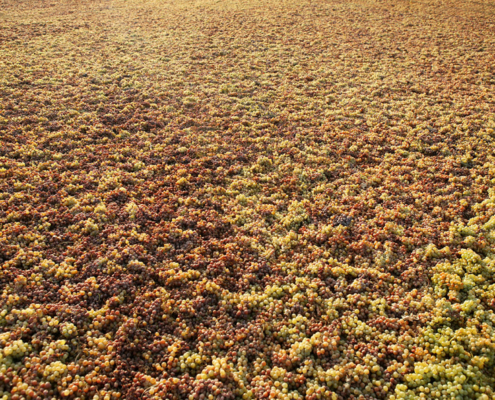 For many a century, Pramnios oenosremained vastly popular. 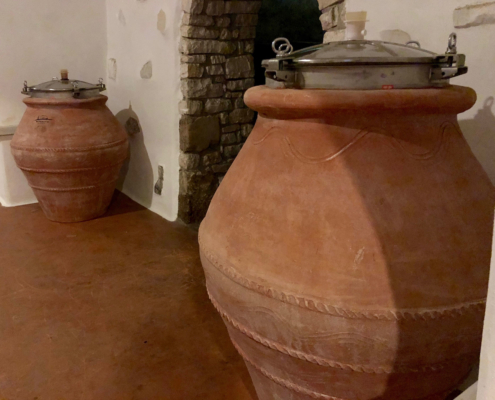 Over time, the name came to characterize a wine type and the wine itself was produced in other areas as well, although its name continued to be associated with an Ikaria appellation. 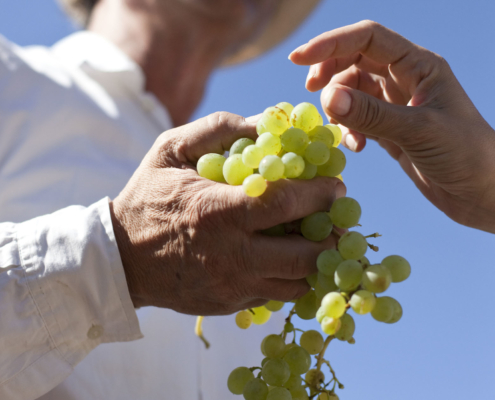 Heading south, we encounter the historic vineyards on the Aegean Islands practically everywhere on the Cyclades. 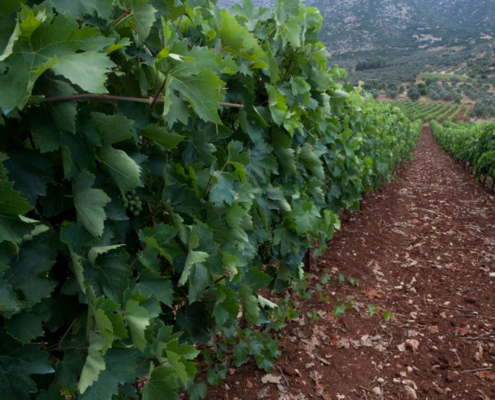 The vineyards of Paros as well as of Naxos, Amorgos, Kea (or Tzia) and Syros were all famous in ancient times. 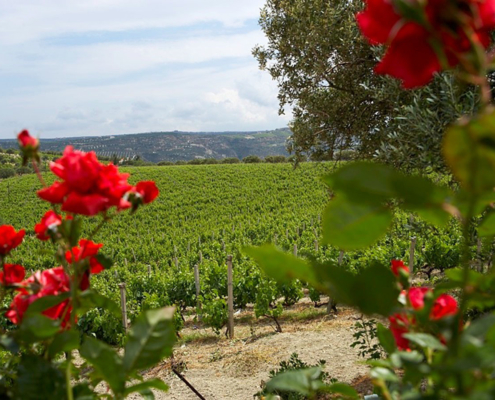 There were even certain periods in history, such as the centuries of Venetian rule, when the vineyards on the Aegean Islands became particularly prominent. 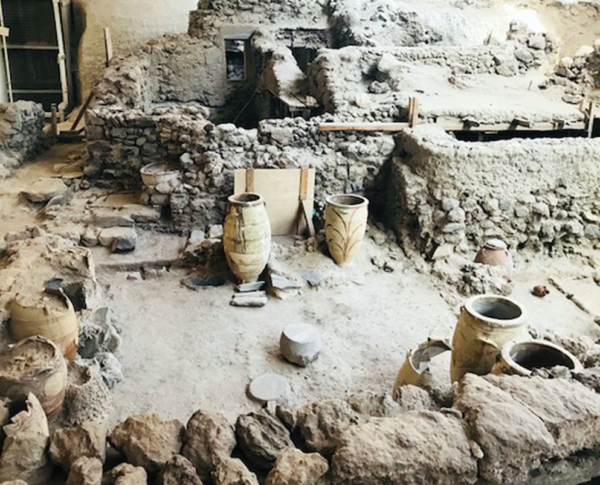 However, in one particular island, Santorini, archaeological evidence points to the existence of winegrowing activities even before the devastating eruption of the island’s volcano in prehistoric times. 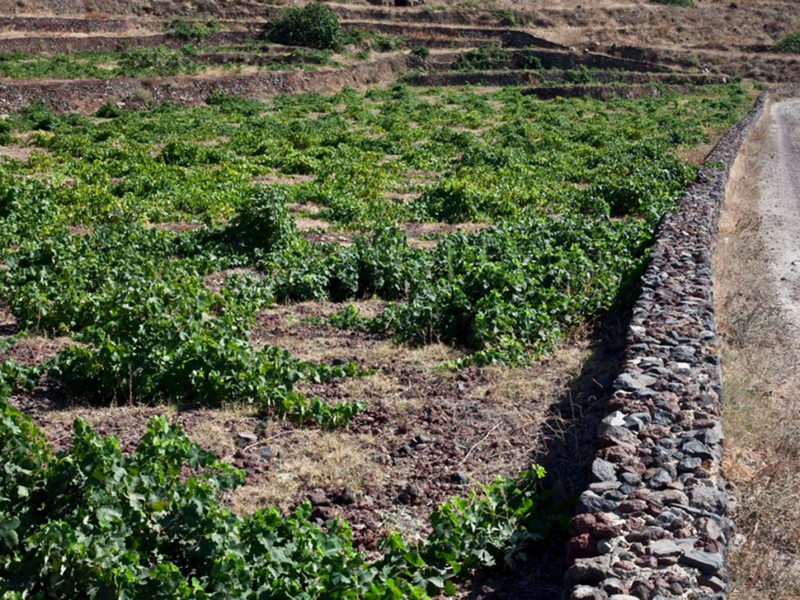 The island’s extensive wine production in tandem with the cordial relations it maintained with outsiders resulted in the fame of Santorini’s winegrowing activities remaining unabated, reaching its peak under Venetian and Ottoman rule as well as during the 19th century when Santorini wines would record the largest exports among all other Greek wines. 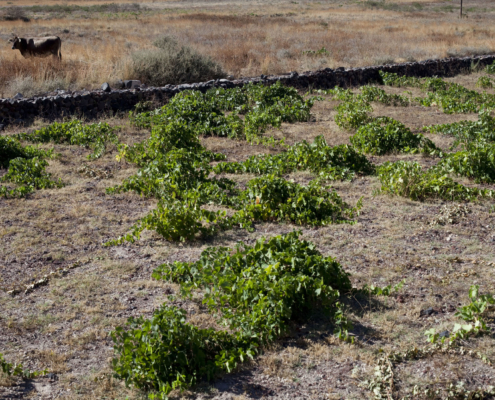 Santorini’s arid volcanic soil which is hostile to the blight of phylloxera, the unique way of pruning vines into the wreath-like kouloura, its rare native cultivars (with Assyrtiko reigning supreme among them) and the landscape of its coastal terroirs are all advocates of the need to protect Santorini’s vineyard and elevate its status to that of a world heritage monument. 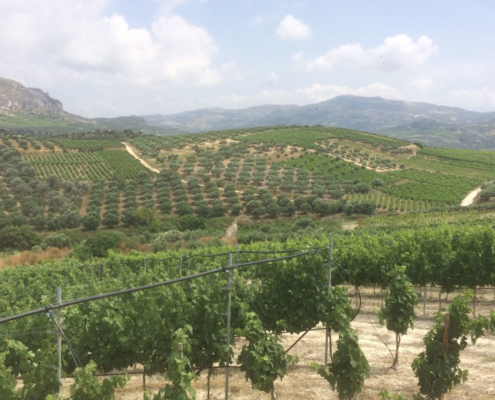 Further south, the historic vineyards of the Aegean islands take us to the Dodecanese. 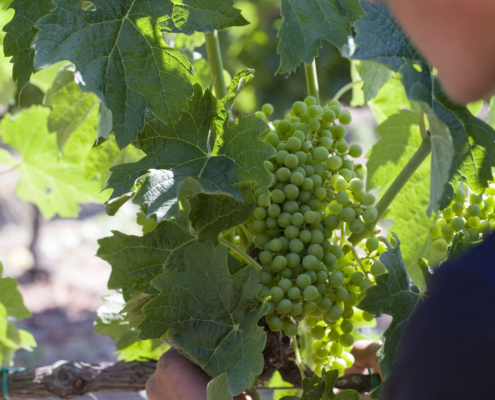 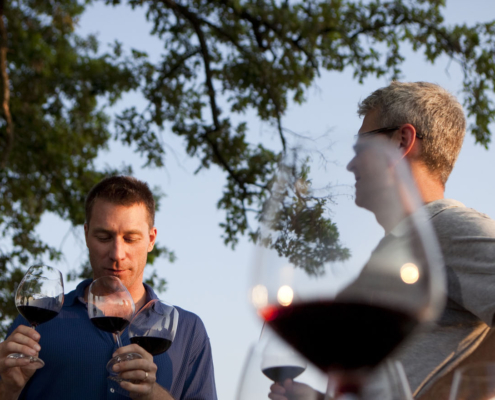 In the vineyards of Rhodes and Cos, the winegrowing tradition, together with winemaking and wine commerce, has been deeply entrenched since antiquity. 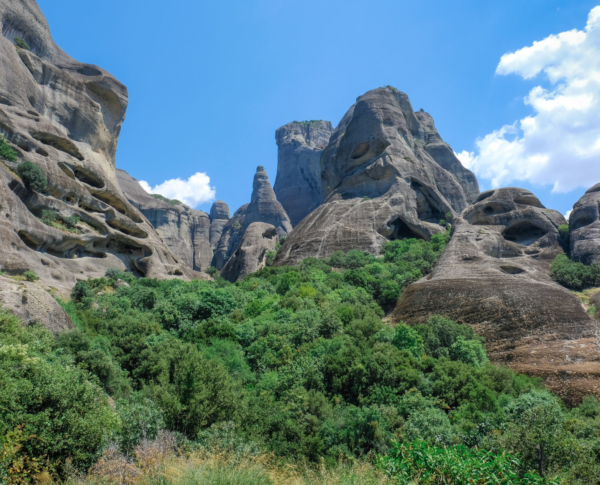 Demand for the wines produced on those two islands reached a peak during Hellenistic and Roman times and, in the case of Rhodes, that high demand has remained unchanged.